and come with pegs and boards to hold the artwork. Minimum rental order 10 easels. 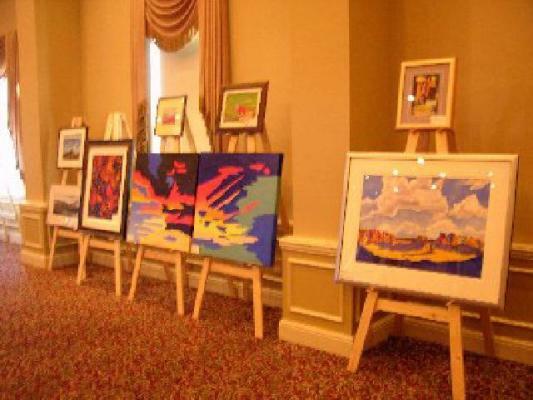 40 or More - Easels are rented at $3.50 per easel/per day, plus $75.00 for Delivery/Pickup. 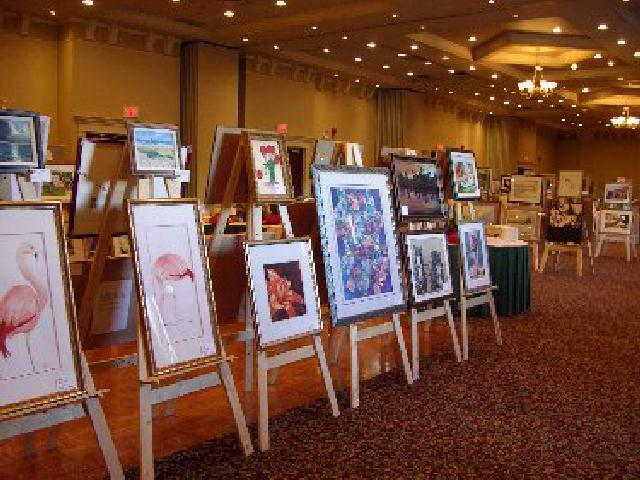 Fewer than 40 - Easels are $5.00 per easel/per day, plus $75.00 for Delivery/Pickup. handle them at all as we do all the carrying and stacking. *** Self Pickup may require pre payment of rental fee. number of days the show is open. Pickup is immediately at the conclusion of the event. Important - Art shows tend to be grouped during specific times of the year (Spring and Fall). Please contact us for rental bookings WELL in ADVANCE of your show date. A $50.00 (non refundable) deposit may be requested upon booking, to guarantee your rental.